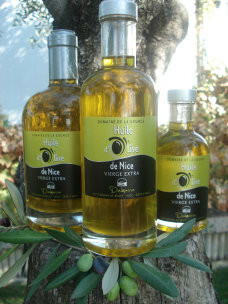 Extra virgin olive oil “Cailletier” from Nice (Nice variety) first cold pressing. Superior category olive oil obtained directly from olives and solely processed by mechanical means. It is picked in the month of December, when the fruit is ripe. Light, fruity and smooth to the palate, it will accompany all your dishes and salads.